One of the most devastating problems for Hawaii homeowners is the cost of termite damage each year. Termites are a huge problem for our Islands because there is plenty of moisture and termites love to east damp wood. Hawaii offers perfect conditions for termites, the ground is soft and damp, and the climate is temperate with very little chance of frost. The lush tropical foliage provides a steady smorgasbord for insects that thrive on cellulose, like termites and other wood damaging insects. Island Insurance is now offering Ground Termite Coverage which could save home owners thousands of dollars individually and millions collectively in the future. Island Insurance is the largest insurer of single family homes in Hawaii. This new coverage is unheard of in the state; termite treatments do not include repair of damages, but this new insurance will cover that cost. Island Insurance Ground Termite Coverage includes and annual ground termite inspection. If termites are found during the annual inspection then the treatment and repairs will be done at no extra cost to the home owners who are insured. Many homeowners’ insurance policies do not cover termite damage and the damages that are covered are often vague and hard to understand. Most homeowners in the United States are underinsured because separate policies are required for flood insurance and some policies don’t cover an electrical fire. Some policies don’t cover fire in the home but cover fire damage to adjacent homes if the fire started in the policy holders’ home. Most Americans don’t know what their insurance policy covers; they carry the policy because it is required by the mortgage lender. This holiday season, take out that insurance policy and read it. Contact your agent if there is anything vague or any item you do not understand. Ask what coverage you actually have and how much you need. Take stock of your personal property and find out how much it would cost to replace your items if everything was lost. Ask your agent about the best way to safeguard family heirlooms and memorabilia. In the recent disaster of Hurricane Sandy, home owners were grateful if they could recover a special photograph. 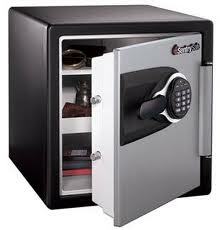 Personal safes are often fire and flood rated and are relatively inexpensive at home improvement and department stores. You should at least have a safe place to store your insurance policy along with a list of valuables and photos of them in order to complete your damage claim. In order to protect homes from termites in Phoenix, home owners are encouraged to call for a free termite inspection. Licensed professionals inspect Arizona homes and provide a plan of protection against termites and other damaging or disease carrying pests.